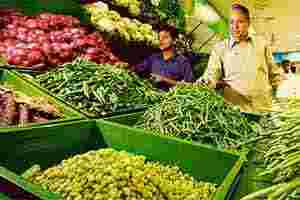 Chandigarh: Punjab government on Sunday announced a 50% subsidy on vegetable farming to boost production in the state. Disclosing this here on Sunday, agriculture minister Sucha Singh Langah said the government would provide a grant under the national agriculture development scheme for farmers to making net houses for cultivation of vegetables. He said the Punjab government would also provide a 50% subsidy on pesticide and anti-fungus medicines in order to increase the quality of the vegetables and to increase the per unit income of the farmers. He said the subsidy would be 50% of the cost of pesticides and plant medicines, subject to a cap of ₹ 6,000 per farmer. He said under the separate national vegetable initiative scheme, a, per hectare, subsidy for the cultivation of vegetables was also provided to farmers, which ranged from ₹ 25,500 to 33,750 per hectare. He said a 50% subsidy was also being provided for setting up retail outlets, vegetable collection centers, mobile vending card and processing units for marketing of vegetables. Langah said that farmers could contact the district horticulture director to avail such facilities.